By train it takes 13 to 15 hours to travel slightly over 670 km from Ninh Binh to Da Nang. Most people choose to travel this route overnight, although Train #SE7 departing at 08:17 arrives in Da Nang at 22:36 which is early enough to check in to a hotel for the night is you prefer not to sleep on the train, although be aware sometimes trains get delayed for several hours on this route and you may end arriving well after midnight. 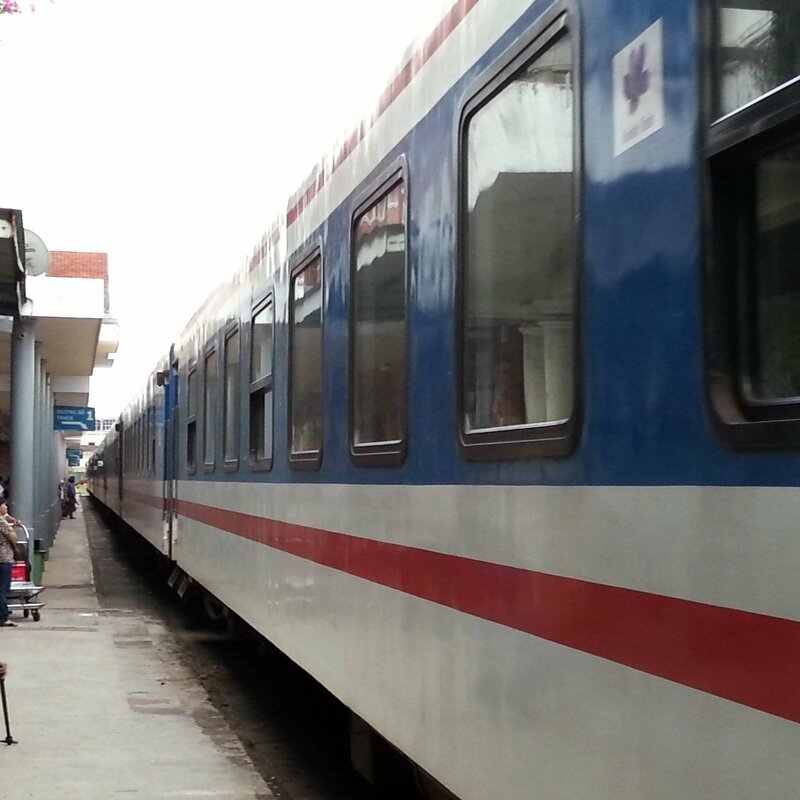 There are 5 daily SE class train services from Ninh Binh to Da Nang. The fastest train service between Ninh Binh and Da Nang is Train #SE3 departing at 21:47 and arriving in Da Nang 13 hours 36 minutes later at 11:23. The fastest train service between Nha Trang and Da Nang is Train #SE9 departing at 17:16 and arriving in Da Nang 14 hours 34 minutes later at 07:50. Use the Search Form below to buy your train tickets from Ninh Binh to Da Nang. Compared to other better known destinations in Vietnam, Da Nang attracts relatively few visitors which is surprising as Da Nang is a more interesting place to visit than the better known ceach resort town of Nha Trang. The main reason why foreign visitors come to Da Nang is in the transit to the ancient city of Hoi An, which is 28 km from Da Nang Railway Station. Hoi An is a UNESCO World Heritage and one of Vietnam’s most popular tourist attractions. If you are travelling independently in Vietnam by train then the budget way to get to Hoi An is take public bus #1 which runs from Da Nang city centre to a bus station near Hoi An for the bargain price of 20,000 VND per person although the bus driver may ask you for more despite signs indicating the correct fare. Da Nang has some great beaches, the main beach is My Khe beach, although the better beach is Non Nuoc to the South. Away from the beaches, worthwhile excursions include trekking in the Son Tra Peninsula, an area of protected forest near the city centre, a walk up the Marble Mountain, and a motorbike journey over the windy, dangerous and extremely beautiful Ha Van Pass. For more sedate activities then visit Da Nang Cathedral, the Cham Museum and the My Son Sanctuary. 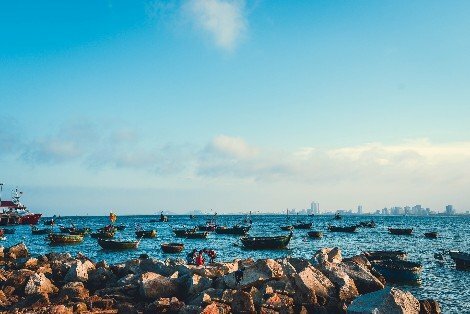 Da Nang also has good food and lively nightlife making the city a great place to spend a few days rather than simply a simply a few hours arriving and departing by train for a tour to Hoi An.